The girls as I got up super early this morning and headed to Houston for Fall Break. They have been so excited about getting to see Grandma and Grandpa, Grammi and Gramps, Aunts, Uncles and cousins. 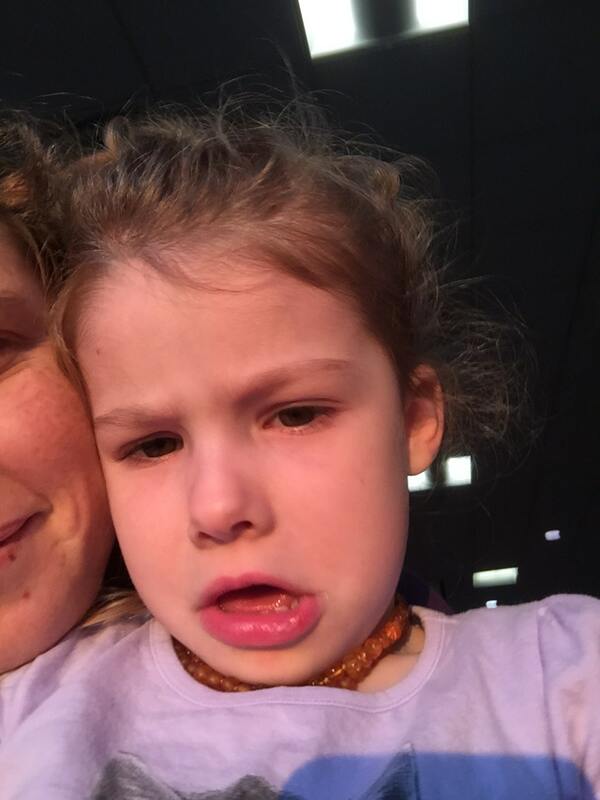 E, however, was not a fan of her early wake up, her early trip to the airport, the 10 minute wait in the security line, the train ride, the walk from the train to the gate nor the wait at our gate until we boarded the plane. She recovered, thankfully, and enjoyed watching Monkey Kingdom and checking out her sister watching Winnie the Pooh. Check off flight number two with me and my girls (the last one I did have a friend on the flight that sat with the oldest two…but they are definitely easier!). 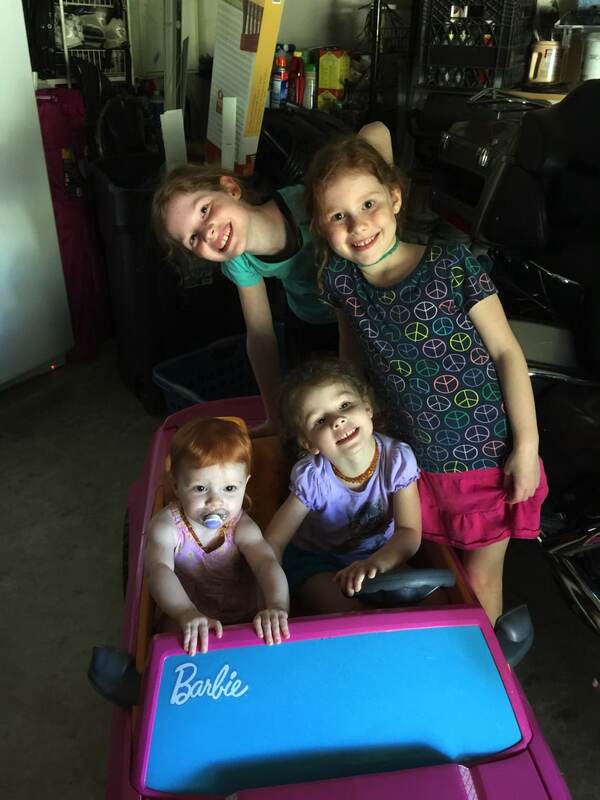 When we arrived at Grandma and Grandpa’s house and walked into the garage, there was some fierce competition for the Barbie Convertible. We’ll be off adventuring the rest of the week and holding the Houston fort down. I hope you have a good visit!! And I must say, I think you are awesome for traveling alone with the kids. I don’t think I’ll be up for a solo trip with mine until they are 5 years old and up, lol. I think the word you are looking for is “crazy”. Although, honestly, the worst part was once we landed, waiting to get off the plane. Thank goodness for old phones and iPads!